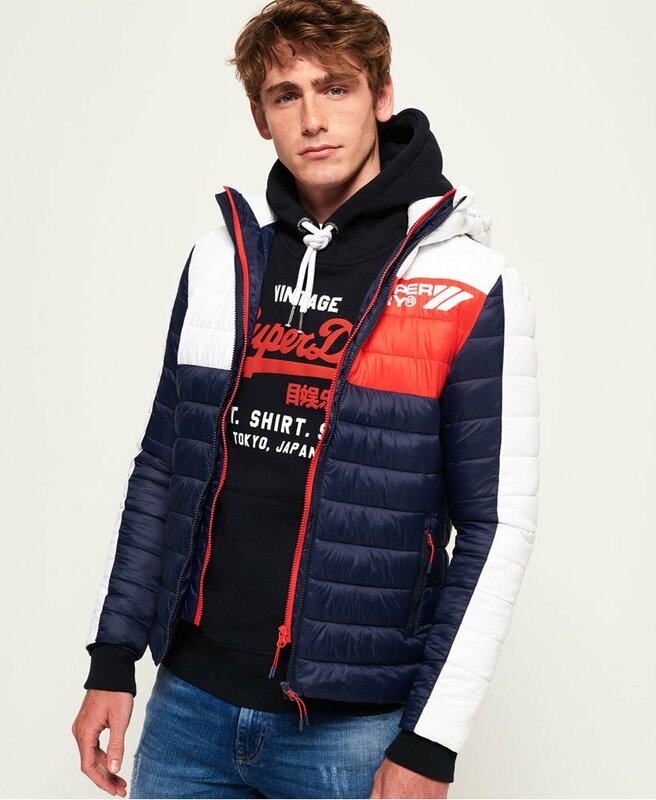 Superdry men’s Colour Blox Fuji jacket. Keep warm in this quilted jacket this season featuring a removable bungee cord adjustable hood, a front double zip fastening and two front zip fastened pockets. The jacket also features a colour block design, elasticated cuffs and a Superdry logo design on the chest. The Colour Blox Fuji jacket is finished with a rubber Superdry logo badge on the sleeve.